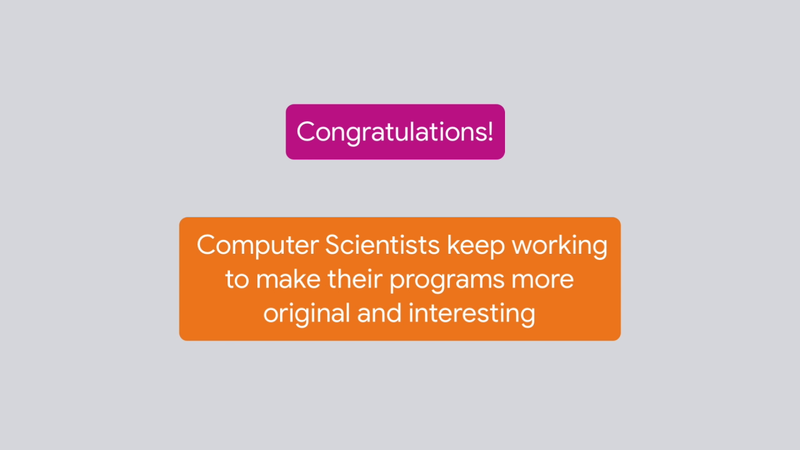 Computer scientists often continue to work on projects after the basic programming is in place, to make them more original and interesting. Now, you get a chance to do the same with add-ons. To get started, click on one of the add-on choices after you watch this screen cast. Make the title and credits for your movie scroll up the screen to music in Title Credits and Music. Choose Walking and Footsteps, in which you make your main Sprite walk and add footstep sounds. And finally, edit a recorded sound and add it to your project in Sound Editing. Remember have fun creating, customizing, and making this project your own. In this add-on, you will add title credits and music to your project. In this add-on, you will make your Sprite look like it is walking across the screen. In this add-on, you will add cool sound effects to your project.